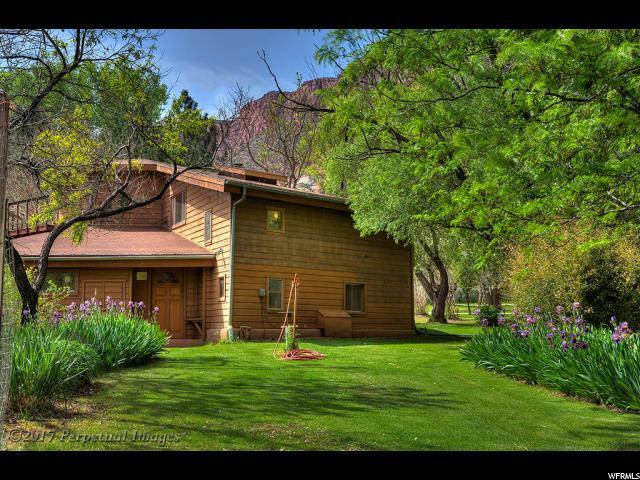 All Castle Valley homes currently listed for sale in Castle Valley as of 04/18/2019 are shown below. You can change the search criteria at any time by pressing the 'Change Search' button below. If you have any questions or you would like more information about any Castle Valley homes for sale or other Castle Valley real estate, please contact us and one of our knowledgeable Castle Valley REALTORS® would be pleased to assist you. "Location!! In one of the best locations in Castle Valley. 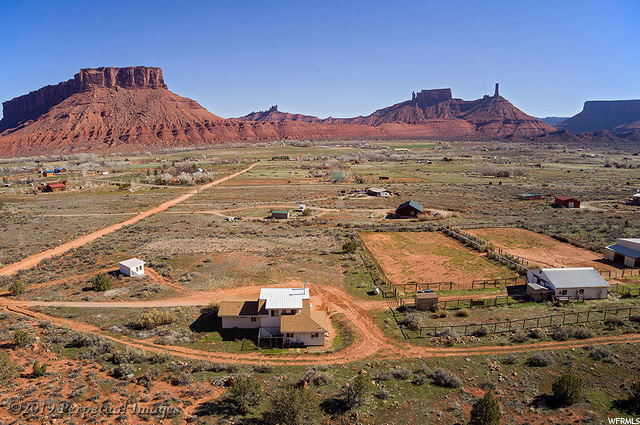 Watch the sunrise & the sunset's red glow on the Mesas and the La Sal Mountain peaks from this beautiful 3 bedroom / 1.5 baths home on nearly 6 acres in the green section of Castle Valley with phenomenal views in all four directions. Bright and sunny south-facing living room & solarium with natural slate floor, indoor garden to harvest your tomatoes, herbs & salad all year around. Heating: Wood stove, propane, electricity, passive & active solar with large solar water heater. Enameled sinks& soaker tub, bathroom with hand decorated Mexican tiles &Talavera tiles, Lovely kitchen & floor with hand decorated Saltillo tiles, 6 burner commercial cook stove, custom built cherry wood cabinets, many windows to take in views to the east, south and west. Flooring: Oak, natural Slate, Saltillo, carpet. One downstairs bedroom, two upstairs bedrooms. Master bedroom with 1/2 bath with the view of porcupine Rim, carpeted loft bedroom with a deck &the view of the Castle Rock, Priest & Nuns, Parriott Mesa & the La Sal Mountain and more..... A beautiful mix of crop& grass land, fruit & shade trees, shrubs, organic garden and irrigation pond with 5 shares of surface irrigation plus a well with water softener, Reverse Osmosis system under the kitchen sink. Enjoy the bright blue sky in the day, dark sky at night without street light pollution, noise free, pollution free, tranquil & peaceful environment. New Gas Heating system installed. New heating system and new water lines installed"
"Great horse property in Castle Valley, Lot 89 Bailey Lane. Five full acres with dynamic views and good location. 3 bedroom 2 bath home on two levels with stucco & vinyl siding exterior. Woodburning fireplace in living room, propane log free standing stove in dining area, propane wallmount heater in master bedroom, baseboard heaters in various locations. Five window mount air conditioner units . Six ceiling fans. Ceramic tile and porcelain tile flooring; in addition to new wood flooring in house is Kahrs made in Sweden. Great horse barn, 36 ft X 36 ft. with 5 stalls (12' X 12') 5 paddocks, stall mats, heated tack room, hot & cold water, new pressure tank (Nov. 2018), power, lights over each stall with outside vapor lights. Run-in shed, hay barn & area for hay & shavings, will hold 1,000 bales of hay and 130 yards of shavings. Two storage sheds. Detached office building. Farm tractor and dry bar not included. 1,000 gallon Ferrel Gas tank is rented. Water well has individual water rights , and a sediment filter. Septic system."